This post is all about foods as I had written some parts on my personal blog and also on my Best Recipe blog. The smoked pork belly from Edelweiss is so melt-in-the-mouth and sinful can die kind of tenderness. Although the fatty part is visible, I do not feel the oiliness of the pork. 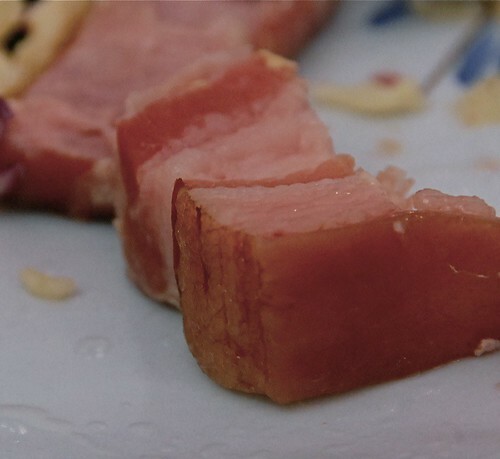 Here’s a close-up of the three layers pork. 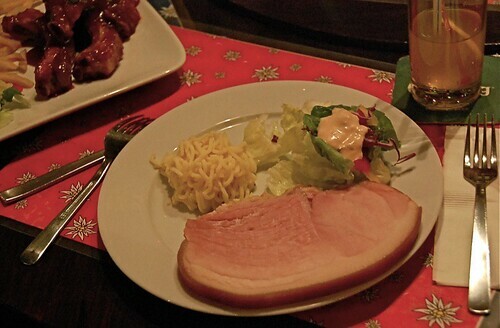 Then, there is another dish of gammon ham which was ordered by another blogger. 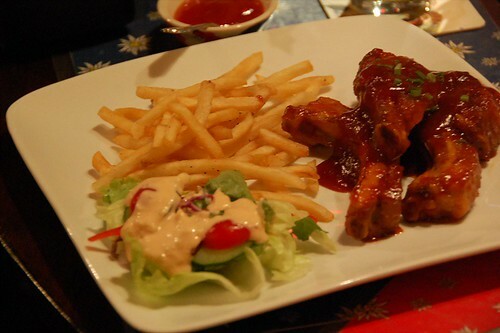 I also stole a shot of this barbeque pork ribs from the next table. 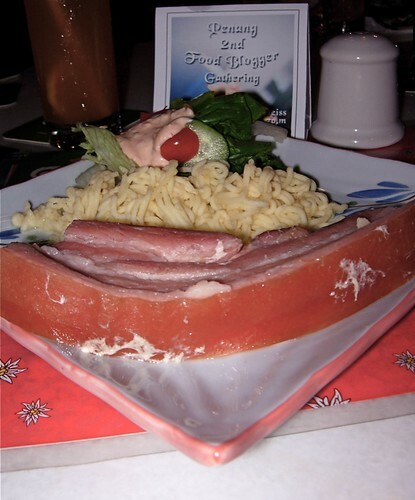 It looks delicious and I shall try that the next time I go to Edelweiss. My son ordered the leg of lamb but he found it a bit sinewy. 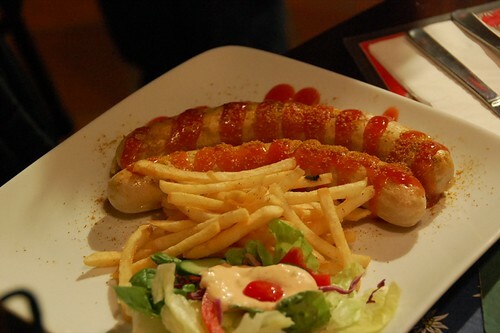 The fifth choice is curry sausages and I heard one blogger said it is good as well. So yes, the Penang Food Bloggers meet was a success. I heard that this second food bloggers gathering is more than twice the number of the first gathering. Now, they are planning another one and I hope more food bloggers will join us. There are lots of tips to learn from each other, including how much we can make from each our blogs and how draw lots of traffic. Secrets that we don’t blog publicly but only whisper into each other ears. Want to know? Next time join us! 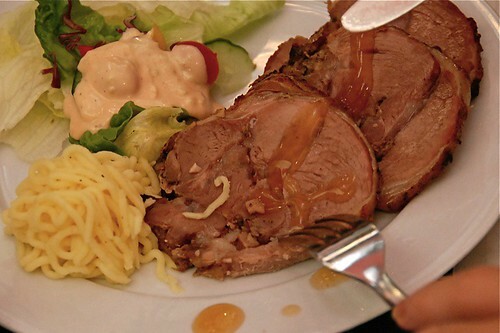 hi, Lilian, we are excited and happy to have you join our 2nd food gathering. And we are very happy as you enjoy it. ohh boy, my saliva and stomach are shivering. Wah..that 2nd shot of pork belly is GOOD!!! Should have stick to the pork belly. I am not a food blogger.But reading food blog is my favourite^^ I can join the Penang 3rd food blogger gathering?